Young cyclocross star Ellen Noble finds a new sponsor after Aspire Racing folds, affording new opportunities to race XC MTB. With the close of cyclocross season, Ellen Noble will return to her mountain bike roots with Trek Factory Racing. The under-23 national cyclocross champion still plans to compete in cyclocross, but will be adding a season of UCI World Cup cross-country to her schedule with support from her new sponsor. Aspire, her former cyclocross team, owned by former national ‘cross champion Jeremy Powers, announced in January that it will not continue in 2018. Racing mountain bikes is not a new venture for Noble, 22. She grew up racing off-road and still loves the trails. “To have an opportunity not only to race for Aspire, which was my dream cyclocross team and then transition to Trek Factory Racing later in my career, it’s just like all of my 15-year old dreams coming true,” says Noble. Noble and Trek were in talks earlier in 2017 about the possibility of her joining for the following season. A final offer came in the fall. When sponsorship prospects with Aspire started to look bleak, Noble and Powers began talking more candidly about her moving to a new team. “It’s hard because it’s the end of something that we built and we had a lot of camaraderie and success with,” said Powers. 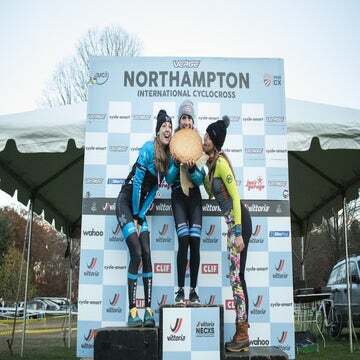 After the UCI cyclocross world championships February 4, the Aspire team was finished. Jeremy Powers announced that his self-started team couldn’t renew all of its sponsorships and that the funding wouldn’t be enough to continue. Powers believes Noble’s move is a step in the right direction for her, although the Trek team will operate much differently than Aspire’s privateer model. Powers tried to foster a low-pressure training environment at Aspire, with minimal mandatory obligations and training camps. Noble won’t have an easy start in pro mountain biking. 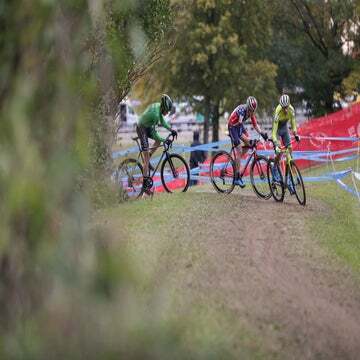 She’ll begin the season without any UCI points, which are necessary to start at the front of the grid in major races — a critical advantage in high-speed cross-country events. Riders earn points with top results as UCI-sanctioned races. For instance, a top-10 finish at a UCI class 2 event like Sea Otter Classic would give Noble some of the points she would need. She’ll also be revamping her training to prepare for the increasingly technical World Cup cross-country courses by dabbling in other off-road disciplines. “I plan on devoting basically every day of the off-season to riding BMX. I’m also planning on a lot of downhill and enduro riding this year,” she added. In the long run, her dedication to mountain biking might pay off if she makes it to the 2020 Summer Olympics in Tokyo. “I think mountain is more attainable for me,” she told VeloNews in February 2017, after discussing whether she’d compete on the road or trails in the Olympics. “With the Olympics in a couple of years, I wanted to put some effort toward mountain [biking] and see where it goes,” she said this winter. Noble will get a deep introduction to Trek’s bikes and culture through bike fittings, fitness testing, video and photo shoots and time with Trek’s team managers at their base in Waterloo, Wisconsin at the end of February. Aside from Noble’s riding, her personality also shines through on her social media channels, which she uses as a platform to speak about issues close to her, such as gender equality in cycling. Noble will miss the early World Cup season after taking a break from her cyclocross season. Her first race will be at the Sea Otter Classic where she hopes to start earning UCI points. After that, she’ll join her teammates on the world stage. Officials at Trek are excited to add another strong female rider to their roster of national and world champions like Katie Compton, Emily Batty, and Rachel Atherton.